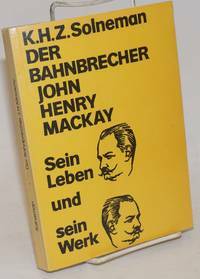 Hummelberg: Verlag der Mackay-Gesellschaft, 1979. Paperback. 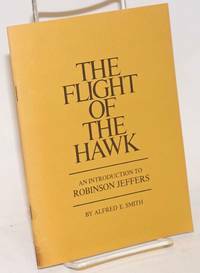 297p., text in German, foreword, footnotes, illustrations, some pencil marhginalia and a few highlighted lines, trade paperback in yellow pictorial wraps. 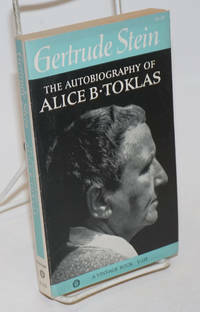 A critical biography of the Anarchist/Uranian author and his works. n.p. : CUEN, 1996. Paperback. pp357-391 5.5x8.25 inches, text in German, footnotes, inscribed to Hubert [Kennedy] signed Edgar [Bauer] very good slim booklet in pastebound blue wraps. 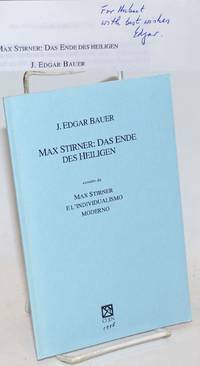 An article by Bauer which appeared in "Max Stirner e l' individualismo moderno / introduzione di Francesco M. De Sanctis" (the introduction is not included) Inscribed to Hubert Kennedy from whose personal research library this copy was acquired. One copy located in OCLC as of 3/2019. San Francisco: OUT/LOOK Foundation, 1990. Magazine. 32p., 8.5x11 inches, very good, magazine format, stapled pictorial wraps. Brief bios of participants, schedules, many ads. San Francisco: Recorder Sunset Press for Tor House Foundation, 1979. [iii]22p., 5.75x7.75 inches, frontis-portrait and frontis-illustration, darkened spot at heel of spine-fold otherwise very good unnumbered booklet with a supposed limitation of 2000 copies in stapled mustard yellow wraps. Published to accompany the opening of Tor House to the public on Saturday, October 6, 1979. San Francisco: OUT/LOOK Foundation, 1991. Magazine. 48p., 8.5x11 inches, very good, magazine format, stapled pictorial wraps. Brief bios of participants, schedules, many ads. 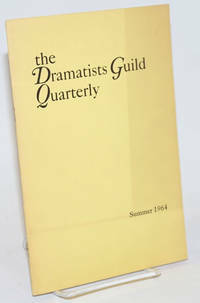 By Guernsey, Otis L., editor, Jean Kerr, Jule Style, Terrence Rattigan et al. New York: The Authors League, 1964. 24p., 6x9 inches, articles, reports, news, essays, reviews, very good booklet journal in stapled yellow wraps with toning to covers. Fun argument in trial dialogue form by Rattigan. 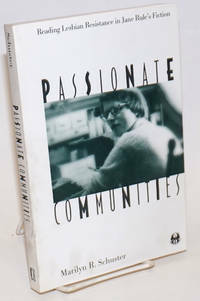 New York: New York University Press, 1999. Paperback. 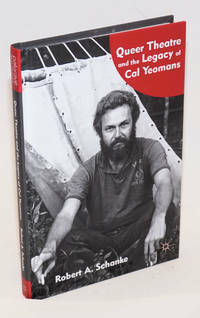 xv, 269p., works cited, index, very good first edition trade paperback in lightly smudge white pictorial wraps. The Cutting Edge series: lesbian life and literature, Karla Jay, series editor. 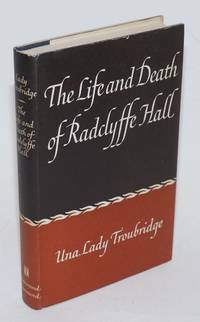 Claims to be the first full-length study of Jane Rule's life and work. 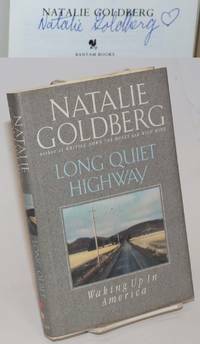 New York: Knopf, 1998. Hardcover. xi, 258p., preface, select bibliography, very good first edition in boards and unclipped, lightly-worn dj. 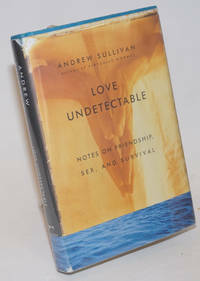 AIDS memoir by the onetime editor of The New Republic. New York: Random House, 2013. Hardcover. x, 197p., photos, fine first edition in boards and unclipped dj. New York: Vintage Books/Random House, 1960. Paperback. 252p., very good tight and unread mass-market paperback edition in pictorial wraps. A Vintage Book V-133. 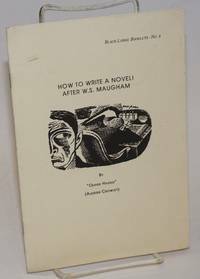 New York: Bantam Books, 1988. xi, 254p., signed by the author on the title page, introduction, annotated reading listvery good first edition in quarter-cloth boards and unclipped dj. New York: Harper Perennial, 2014. Paperback. 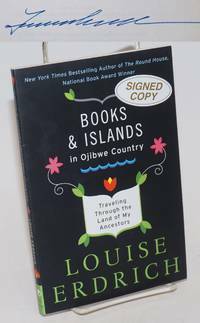 127p., author backlist,map, afterword, signed by the author on title page, very good first edition trade paperback in black decorative wraps. 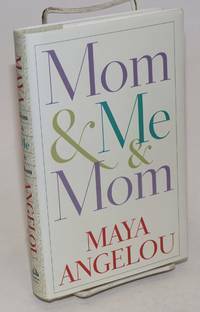 Originally published in 2003 in hardcover by National Georgraphic Society. New York: Bantam, 1993. Hardcover. xiii, 238p., signed by the author on title page, introduction, very good first edition in quarter-cloth boards and unclipped dj. The author's journey to a religious awakening as a Zen Buddhist. London: Hammond and Hammond, 1961. Hardcover. 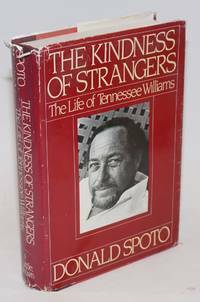 190p., frontis-portrait, foreword, illustrated with b&w photos, very good first UK edition in buckram cloth boards and unclipped dj. Grier A***, B***. Boston: Little, Brown & Co, 1985. Hardcover. xix, 409p., preface, notes, bibliography, index, plates from b&w photos, good first edition in boards and unclipped very worn dj. By Sundahl, Debi, editor, Pat Califia, Alison Bechdel, Susy Bright, Red Jordon Arobteau, Annie Sprinkle, et al. San Francisco: Blush Productions, 1991. Magazine. 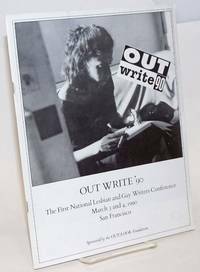 48p., 8.5x11 inches, illustrations, photos, stories, articles, poetry, very good magazine for lesbians in stapled pictorial wraps. Carbondale: Southern Illinois University Press, 1976. Paperback. 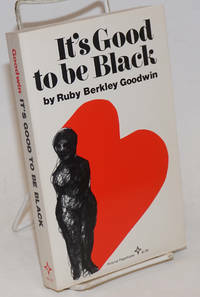 256p., very good first thus trade paperback in white pictorial wraps. The 1953 original was *Brignano 136. 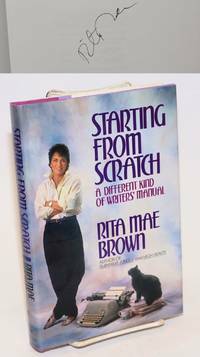 Memoirs by the African American poet. Thame Oxfordshire: Mandrake Press, 1991. Unpaginated, about sixteen newly-typeset pages stapled into 8x5.5 inch decorated wraps. Covers have a couple small light smudges and lightest edgewear, otherwise clean and quite sound, a very good copy. Find parallel columns of print (Maugham's and others' texts juxtaposed) that show parallel narrative construction but to this reader fall short of demonstrating plagiarism. Black Lodge Booklets no. 8. This critique first appeared in a popular magazine in 1908; Crowley believes Maugham plagiarized horror stories by Dumas, Mabel Collins, A.E. Waite (his translation of Eliphaz [sic] Levi) and H.G. Wells. The real sin is for an ignorant person (WSM) to have trodden paths sacred to magical practice and to AC. Levittown and Boston: no publisher, 1960. 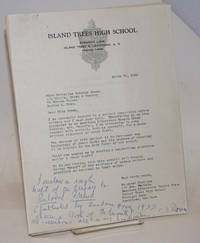 Thirteen 8.5x11 inch typewritten sheets heavily corrected and edited in Catherin Drinker Bowen's hand with cover sheet and backing sheetaccompanied by a typewritten letter from Margaret Stelljes of Island Trees High School in Levittown with a scrawled six-line handwritten note in ink signed C. D. Bowen, light wear and toning, rust marks from paper clip (now missing) at top-left corner of manuscript. Ms. Stelljes requested a signature and/or a rough draft for an exhibit in an Honors Class in American Literature. 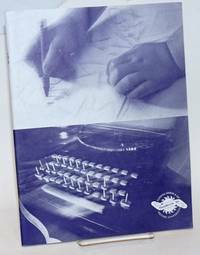 Bowen provided the note and a rough draft from the preface of her popular book on Tchaikowsky.